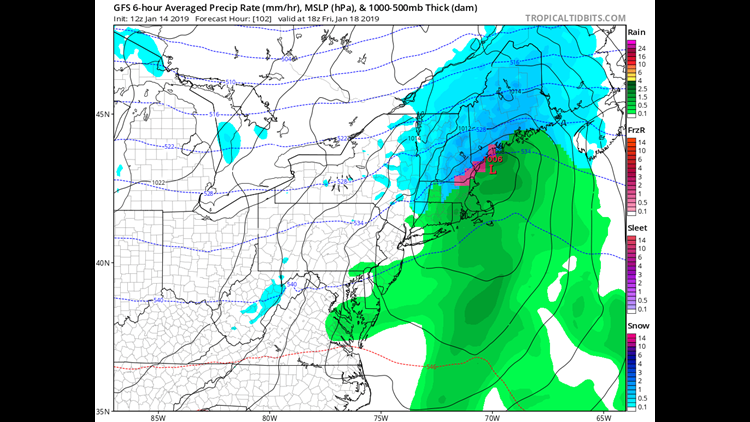 The buzz over a possible snowstorm this weekend has reached epic proportions; but will the storm deliver? Fully recognizing how old this makes me sound I'm still gonna say it: Storms these days are being hyped up too soon. I mean it was only about 5 years ago that I was the jerk for mentioning a potential snowstorm 5 days in advance. I was the whippersnapper, the loose cannon, the maverick with ill fitting suits. Now? I get a text from a friend on Saturday night "Hey bud, what's the deal with this 4 day blizzard we are getting?" I'm sorry, what? It's 8 days out. I was thinking it would be daring to mention it on Monday, never mind Saturday. As of late, every possible snowstorm is taking on a life of its own via Twitter, Facebook pages run by 14 year olds and forecaster-less smartphone apps. There's "hype" before qualified forecasters can utter word one about it. This is one of those storms that could sneak up on people, especially if Sunday starts to lock in. Right now it looks like a quick 3-5" during the morning commute on Friday. 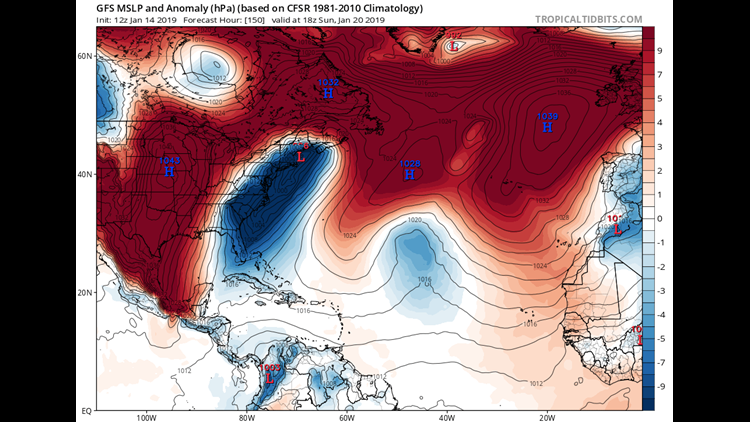 But, no doubt, the real player here is the storm that arrives Saturday and lasts through Sunday. The reason there has been so much early chatter about it is because it DOES have some very classic ingredients lining up. 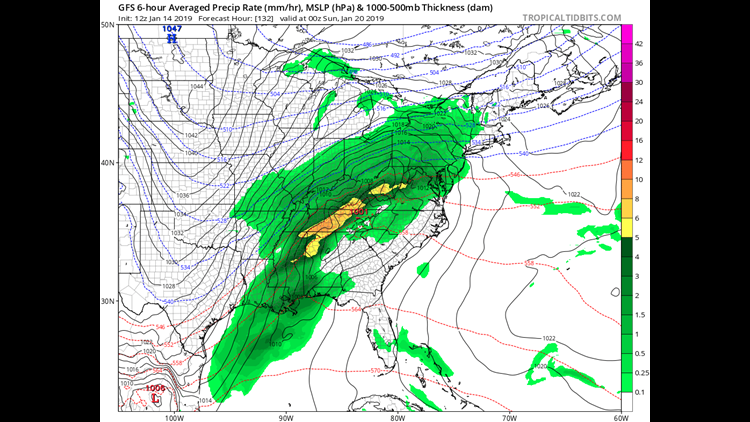 So all those things point to a large storm on Sunday, but it's still 5 1/2 days out so there's track wiggle to consider. But, my biggest concern from experience in these setups is freezing rain. Because the low level air mass will be so cold funneling in, if the mid levels warm up at all it could create a serious icing situation on Sunday. It's an almost classic setup for that. You can get freezing rain at 32 F but the worst ice storms usually have a large delta between surface and aloft. Snow, we can take...it's Maine. But ice is a horse of a different color. It's the ice that will keep me checking the EURO at midnight long after the baby has gone to bed. Stay with me on this; but don't freak out out there. Our best chance to get out of this is a westward shift and some warm air. There's still time.